The word on the street is that Vivendi SA is looking to unload its majority stake in Activision. "The street," in this context, is Bloomberg, which reported today that the big topic of conversation at a meeting of senior Vivendi executives being held later this month will be the future of Activision Blizzard, the gaming behemoth that was birthed by the merger of Activision and Vivendi Games back in 2007. Vivendi Games' parent company, Vivendi SA, took a 61 percent stake in the merged company, but is now apparently considering the sale of some or all of its interest. Activision is a money-printing machine and was Vivendi's second-fastest growing unit last year, but Vivendi needs to come up with a way to put the brakes on a slide in its share price, which has declined by 28 percent over the past year. Vivendi Chairman Jean-Rene Fourtou said a sale of Activision would "unlock value from assets" that are currently undervalued because of Vivendi's holding structure. Rumor of the possible sale caused Vivendi stock to jump 5.3 percent, but Activision fell by 6.2 percent. 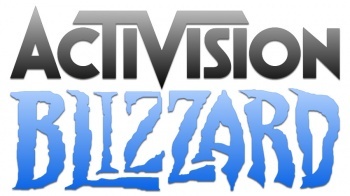 There's no guarantee that Activision will be put on the block; a Vivendi rep said the meeting, which has been a regular event since 2005, is "a forum of exchange and discussion, not for quick-fix decisions or solutions," and that nothing about the future of the company has been decided. Vivendi is also reportedly considering a more radical overhaul that would see the company split into separate media and telecommunications and content-distribution units, although that option is even less likely to be pursued.